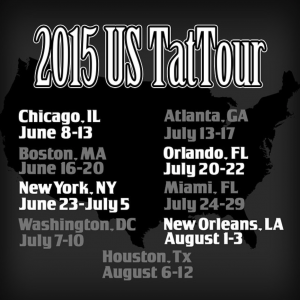 Carlos Macedo has just announced the cities and dates for his exclusive 2015 United States TatTour. This whirlwind romp across the country brings the unique talent and vision of this now legendary tattoo artist to a city near you, and features nine stops from June to August of 2015. For a full list of tour dates please visit the events section of the web site. For additional information, or to book a session, please contact us.